Heading out to Outback Steakhouse today? 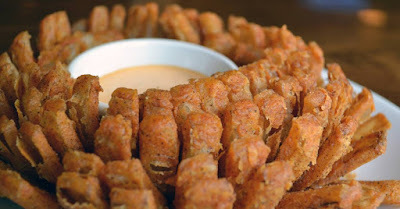 Be sure to mention to your server "Bloomin' Monday" to score yourself a free Bloomin' Onion! Good with any purchase but today only! We stopped in to our local one the other day and had a wonderful dinner! Always yummy!